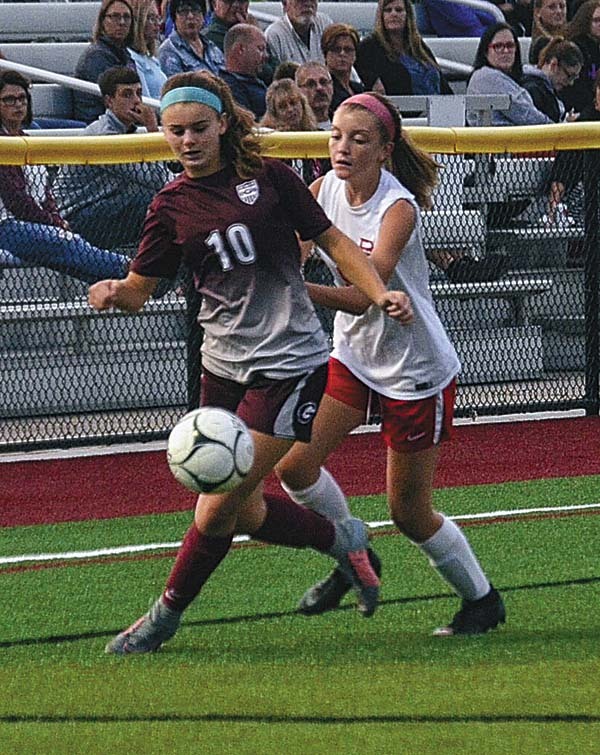 GLOVERSVILLE — After back-to-back league losses on the road, the Gloversville girls soccer team returned to its home pitch Tuesday night to face the Broadalbin-Perth Lady Patriots. After Broadalbin-Perth tied the game at one early in the second half, the Lady Dragons picked up their intensity behind strong runs from Michaela Ponticello to set up three unanswered goals and post a 4-1 victory over the Lady Patriots in Foothills Council action Tuesday at Gloversville High School. Gloversville (4-3-0 overall, 2-2-0 Foothills) withstood early pressure from the Lady Patriots and put together a combination to get into the BP defensive zone and come away with a corner kick. Harmony Philo put the short kick in play that the BP defense stopped but the Lady Dragons kept the ball locked in. Josie Wood collected a loose ball and pushed it back outside to Philo on the wing and she struck a long shot that settled into the back of the net for a 1-0 lead 21 minutes into the match. Both teams picked up their play with hard physical play in the midfield but could not add to the score before halftime. Broadalbin-Perth came off the break with a purpose and got the equalizer when Brooke Bush pushed a pass into the middle and Hailey Parrotti beat her defender to fire a shot on goal that settled into the back of the net to tie the match at one apiece just over five minutes after the second-half kickoff. The Lady Dragons stepped up their attack and the Broadalbin-Perth defense was up to the challenge to keep the score deadlocked. Gloversville broke through to break the deadlock when Ponticello received a pass from Philo and made a long run along the left sideline before pushing a centering pass from the end-line that Angel Anderson ran onto to finish for a 2-1 lead with 18:05 left to play. Four minutes later, Ponticello again put in a strong run on the left side and turned toward goal and sent a low ball into the box that deflected off a pair of B-P defenders and into the net for a 3-1 lead. 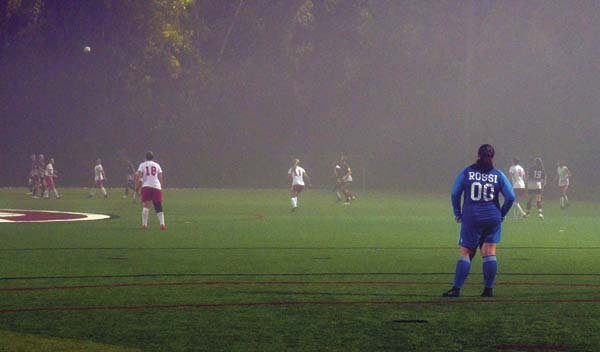 As fog rolled in over the field, Taylor Mee closed out the Lady Dragons’ scoring, receiving a long pass out of the midfield from Ponticello and finished the one-on-one situation against B-P goalkeeper Morgan Rossi to close out the 4-1 Foothills victory. The shots on goal were balanced with Gloversville holding a 25-23 edge and a 4-1 edge in corners. 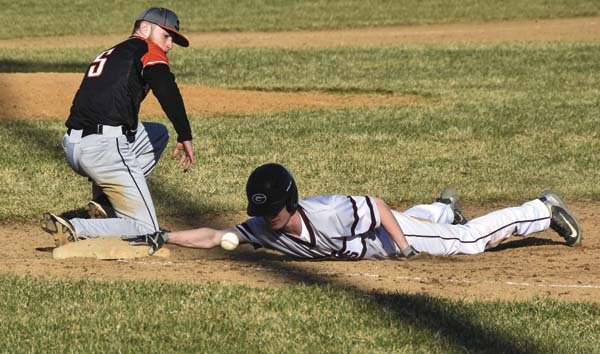 Gloversville will welcome Amsterdam to the GHS pitch 7 p.m. Thursday night for a Foothills match, while Broadalbin-Perth will host Johnstown at 7 p.m. Thursday at Patriot Field. 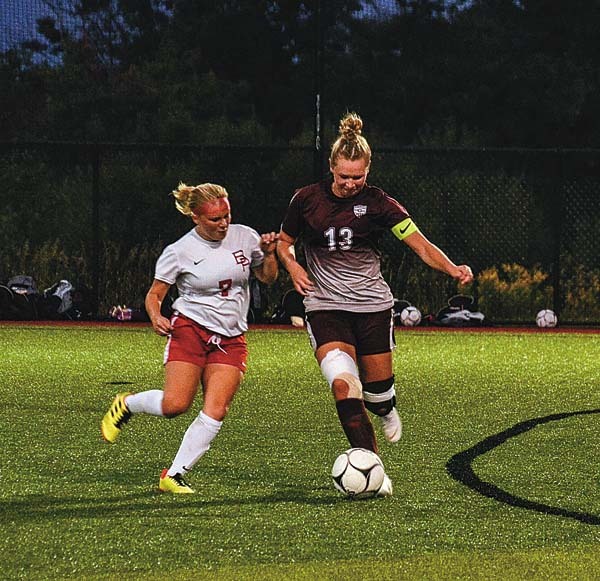 JOHNSTOWN — Rylee O’Connor finished with two goals and an assist to lead Scotia-Glenville to a Foothills Council victory over Johnstown. Tanya Leggiero also scored for the Lady Tartans, while Brooklyn Drago and Annamarie Piccirillo each had an assist. Gwen Currie made six saves for Scotia-Glenville and Hope Buboltz made 26 saves for Johnstown (2-2-1 overall, 2-2-1 Foothills). The Lady Bills are scheduled to travel to Broadalbin-Perth on Thursday for a 7 p.m. contest. QUEENSBURY — Christina Cummings, Bridgid Duffy, Maddie Montgomery and Meghan O’Connor scored to lead Queensbury to a Foothills Council victory over Hudson Falls. Izzy Dennison had two assists for the Spartans, while Ali Wallace had one assists. Kaleigh Hunt made two saves to post the shutout for Queensbury. Abra LaFontaine finished with 23 saves for Hudson Falls. SCHUYLERVILLE — Amya Naja and Zoe Lanfear each scored to lead South Glens Falls to a Foothills Council victory over Schuylerville. Aly Fish and Holly Page each had an assist for the Bulldogs. Jessica White scored the lone goal for Schuylerville on an assist from Cassandra Cooper. Molly Rafferty made two saves four South Glens Falls, while Claire Pelletier-Hoblock made 10 saves for Schuylerville. BERNE — Kerrigan Groff finished with five goals and an assist to lead Northville to a Western Athletic Conference victory over Berne-Knox-Westerlo. Brytney Moore had five goals and two assists for the Lady Falcons, while Grace Forsey and Bre Strouse also scored. Strouse and Forsey each had three assists, while Jaycee Frasier and Madison Whittaker each had one assist. Selom Ayi scored the lone goal for Berne-Knox-Westerlo, which was outshot by a 31-2 margin. DOLGEVILLE — Rylee Lamphere finished with a goal and an assist to lead Dolgeville to a victory over West Canada Valley. Emma Bilinski and Alexis Smith also scored for the Blue Devils. Ryanne Williams made seven saves to post the shutout for Dolgeville (2-1-1 overall), which outshot West Canada Valley by a 29-6 margin. Isabella Smith made 21 saves for West Canada Valley. Dolgeville is scheduled to travel to Herkimer on Thursday for a 7 p.m. contest. INDIAN LAKE — Joy Trezise finished with two goals and two assists to lead Wells to a victory over Indian Lake/Long Lake. 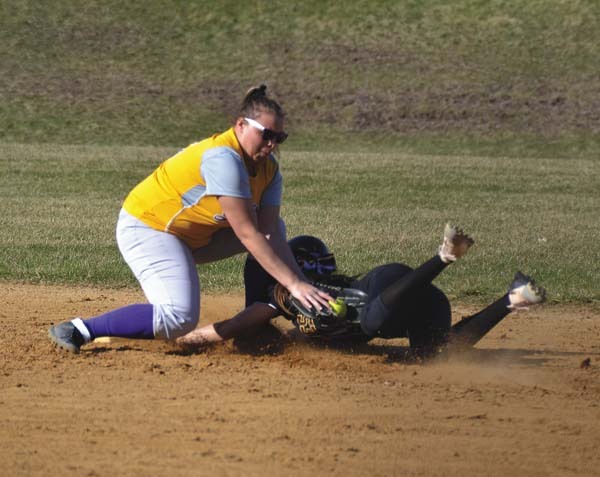 Alexis Brooks, Jonni Stuart and Ruth Johnson also scored for Wells, which is scheduled to travel to Willsboro on Thursday for a 4:30 p.m. contest. RAVENA — Antonia May scored a pair of first half goals to help the Lady Rams record a draw in non-league action. Mollie McFerran and Olivia Newkirk registered goals for Ravena. 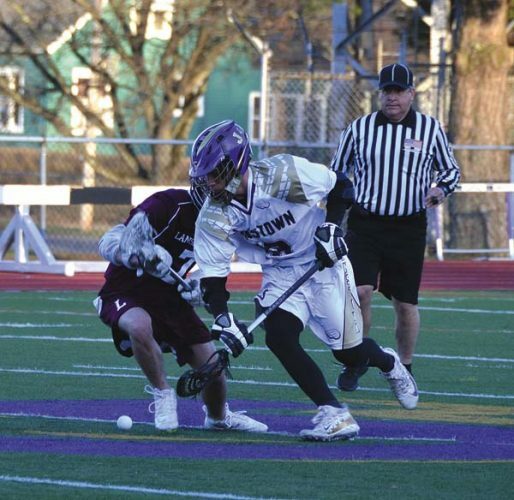 Amsterdam is scheduled to travel to Gloversville on Thursday for a 7 p.m. contest.